Yamaha RD200 is an ultra-exclusive product with elements that are perfect for a retro-modern motorcycle fan. The balanced design, 1970s charm, and chrome elements are unmistakably exclusive to the RD200. It was sold before the birth of RX100 and thus, design derivatives are seen in the most popular lightweight Yamaha retro model. 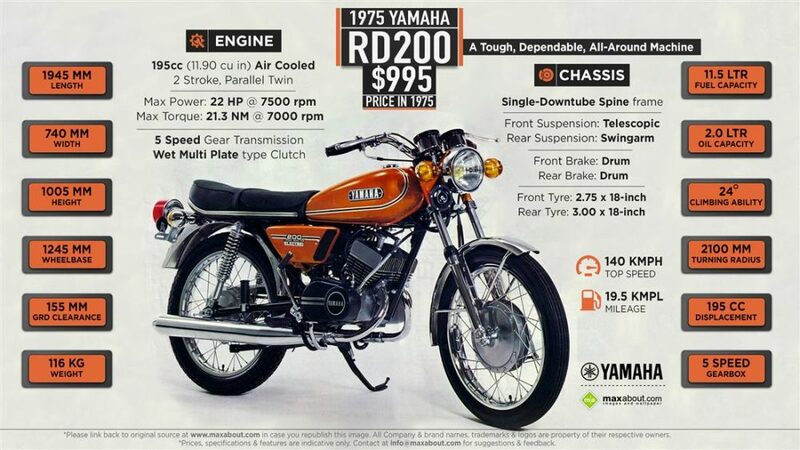 Here are five quick facts about the Yamaha RD200. 1) Design – Yamaha RD200 came with basic design elements like drum brakes, twin rear shocks and flat seating for two. The headlight was round while fuel tank measured 11.5 liters and came with a plain design. If Yamaha brings back exactly the same design with a modern fuel injected engine, it could become an instant hit across various countries of the world. 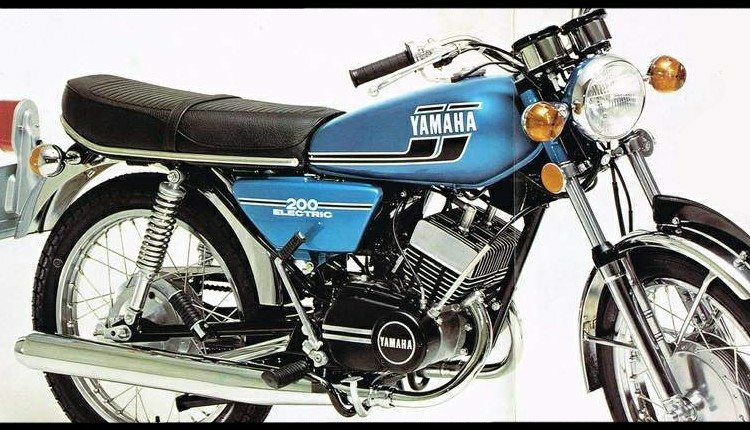 2) Availability – Yamaha RD200 was an exciting option to consider in 1975 and getting the same these days is tougher than imagination. The motorcycle is rare in comparison with the recent options like Yamaha RX100 and the RD350. Most probably, you will find one in an almost dead condition and spending a huge amount to get it ready is the first step of ownership. 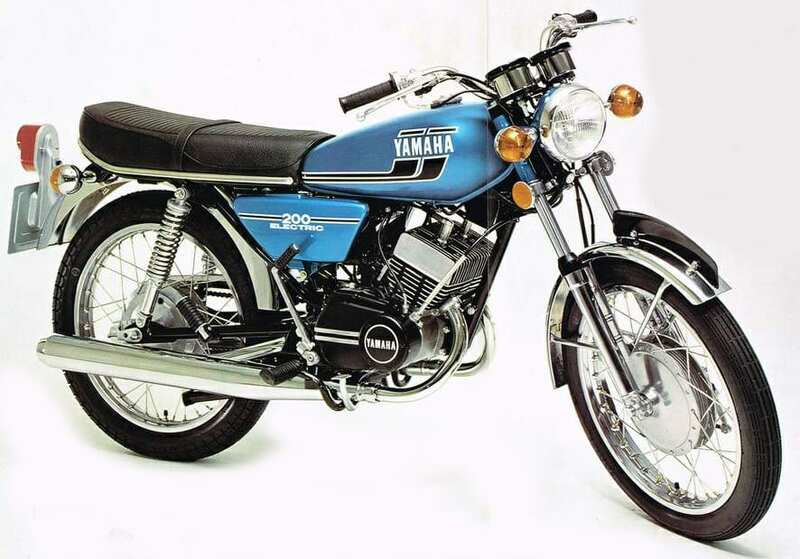 3) Performance – Yamaha RD200 was powered by an advanced twin cylinder, 195cc motor that churned out 22 HP at 7500 rpm and 21.3 Nm at 7000 rpm. These values are better than the present generation 200cc bikes. For those who think this reason was not good enough to justify the performance, the kerb weight of 116 kg gave it the same advantage that you can get by pushing KTM 200 Duke engine in a Bajaj Discover chassis. Almost 30 kg of less weight than present generation bikes make Yamaha RD200 a great option to own. All this setup helped Yamaha RD200 achieve speeds around 130-140 kph. 4) Pricing – At that time, the RD200 was priced at $995 (INR 70,500 approx), which roughly equates to $4,816 (INR 3.42 lakh approx) after adjusting inflation. The exact price for a model available in 2019 depends on the owner as asking anything between INR 50,000-1,00,000 for the one that needs heavy restoration is possible. 5) Legacy – Yamaha RD350, the bigger variant from RD series, is still in demand for its performance centric ride and elegant design. RD200 can be called a compact version of the bigger RD, producing a limited amount of power in comparison, but lowering the overall weight for the similar fun factor.